Since it's inception in 2008 at Riot Games, League of Legends, also known as LoL and LofL, has become one of the most popular and prominent online games. The game itself was inspired by a Warcraft III custom map titled, Defense of the Ancients (DotA), in which the same developers were heavily involved in the production process of LoL. It was officially released on October 27, 2009 and ever since has been on a continuous growth as it has easily become one of the highest played games online, and has been such for some time. 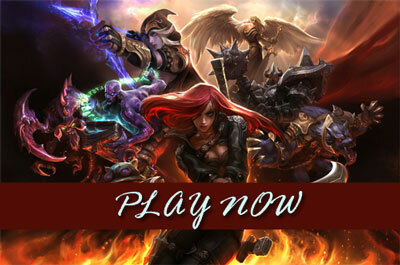 For the most part, and even with its influence, the game itself is quite unique to most other free-to-play games online and this accompanies its huge success worldwide. Currently there are three server locations, with North America hosting one and Europe being split between West and East servers. With such a high velocity of players comes the high intensity of game-play, which leads to a wide variety of tournaments and events, many of which feature League of Legends as one of the main events. As any new game entails, there is a lot to get used to for newcomers. Offering a fast paced and action-packed environment for players become involved in, combined with such a wide variety of characters to choose from with so many unique variables specific to each one, it is fairly easy to see why this has reached the heights that it has it terms of popularity. It is nice to see so many areas of a game to be so well designed. The game is highly interactive with the interactive feeling beginning from the very moment of first logging in, when the game lobby appears, all the way until the moment of exiting, to end a long day of champion battling. Various options and features appear on the game lobby screen, most of which are nearly perfectly positioned and all of which are properly functioning. For example, if a player adds you as a friend, instead of an annoying sound ringing and it being either nearly impossible to find the friend invite or entirely impossible to add a friend at all, the function incorporated in to LoL works incredibly efficiently. Another example is when a friend invites you to join you in their lobby, a small message box conveniently appears with the option to accept or not . Everything about this games interaction was very well thought out and implemented, as this is often the downside to many games.. Immediately players become immersed into the world that surrounds League of Legends, before they even enter the realm that contains the battlefields of League of Legends. On the lobby screen, there are videos and news articles featured with information on the most recent events. When I first logging in, there were highlights from the recent PAX Prime 2011 event, in which League of Legends was one of the largest featured tournaments there with Riot Games even attending, although Riot Games was also present to introduce a new game type to LoL, Dominion. Every year there are numerous gaming tournaments and events held, and in most of them the League of Legends community are attending and competing for pride and a wide variety of prizes, many times including cash prizes. With such a large following and so much support, it is easy to see why there is so much effort put into the entirety of this game, both inside and outside. As every game has its limitations, thus LoL also does, but even with the limitations that it has it still offers more than most games do for playable characters, with more and more being created and released from time to time. As of August 24th, 2011, there are 82 playable champions in League of Legends. With so many champions, it may take players quite a while to get fully used to each one specifically, although they do follow typical archetypes, such as mages and tanks. 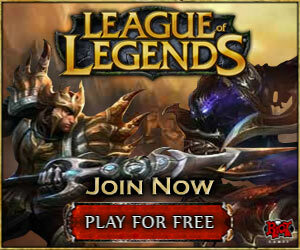 Although there is such a vast number available to players, there are only 10 playable champions available each week, changing with the “free champion rotation.” The reason the title free is given is because without purchasing any of the 82 playable champions using either of the currencies in LoL, Riot Points or Influence Points, then a player may only selected from the ten that were released in the free champion rotation. Most newly created are not released in a free champion rotation immediately after their integration, as this allows for paying players to have the first chance to use it. Although Riot Points are only available with purchase using real money, Influence Points are earned via actually playing the game. There are benefits to both, as the store offers purchases to be done using both currencies, whereas some can be made using only one of the two. An example of this is that If a player wishes to purchase one of the various skins for a champion, as to change their appearance, then they must use Riot Points, whereas the transaction of Runes is only processed with Influence Points. If a player wishes to purchase a champion, they may use either one of the currencies to do so. There are definitely benefits to both of the in game currencies, although there is no necessity for players to have to purchase Riot Points, which in turn makes it a fair game for free-to-play players with no major advantage given to paying players. There should always be worthwhile options and benefits for people investing into a game, as they are spending real money, and although LoL does offer players a lot for their money, it is still as enjoyable for those that do not spend real money. The game-play within League of Legends, free to play MMORTS (Real Time Strategy MMO) is quite fast paced with the action being fairly consistent all the way through. Players control their selected champions and battle against the same number of champions on an opposing team. Until recently there were only two fields of justice (maps), but the new game type, Dominion, that was introduced at the PAX Prime 2011 has its own field of justice titled Crystal Scar. The other fields of justice are for the classic game type; Summoner's Rift, which closely resembles the DotA map, has 3 lanes and plays five versus five, whereas the smallest map, Twisted Treeline, is 2 lanes and supports three players per team. If players wish to play co-op versus AI champions, they can only do so on Summoner's Rift. In the classic game type, both the red and blue team begin with equal number of turrets positioned along each of the lanes, as well as inside their base. In each base there are also a few other buildings that can be destroyed that will dampen certain aspects of the game for that team. Consistency is something that is common throughout all of League of Legends as everything designed and implement is consistently appropriate and functional. This is something that is not very common in many free-to-play games, but these developers created a nearly flawless game that offers so much to its community and players. A high and constantly rising number of champions are offered to players and as each new one is introduced, they feature videos and information on that new champion so players may be familiar with them before using or purchasing them. The action in the game play is very entertaining and intense, with a fairly fast paced and competitive environment provided. The community seems to be fairly involved as well in the game, and the manner in which they become involved seems to have a very positive effect as well. With the new game type, the heights of League of Legend have once again risen to new proportions as their popularity and population is sure to grow. So far there is not much negative to report regarding this game, so it is definitely recommended for players to play if they have not already tried it out.